I am not even lying when I say that I get to teach the most fun age at our church! 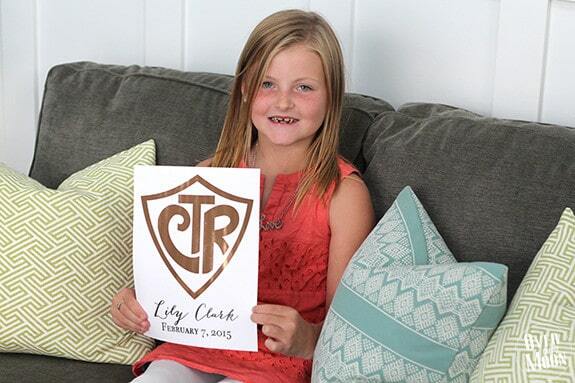 I teach in our churches Primary, which covers the youth ages 4-11. 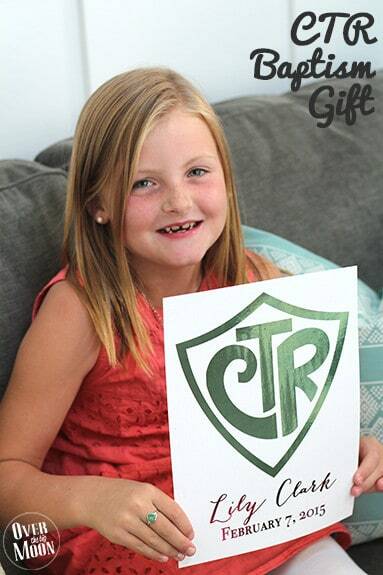 The class I teach is the CTR 7 class, which means it is the kids that are 7 turning 8 throughout the year. 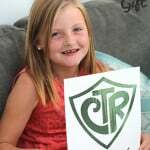 Turning 8 years old in the LDS church is a big milestone, because 8 is the age that you can be baptized if you so choose! 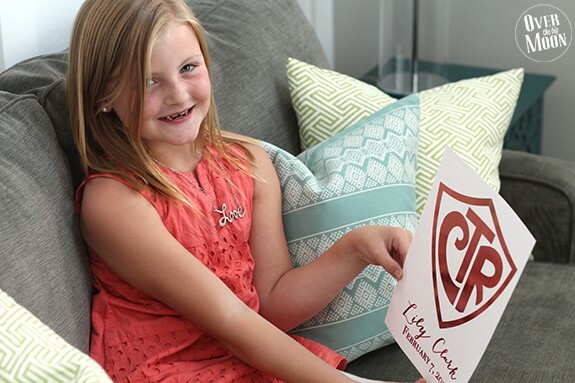 When I got my Minc Machine (affiliate link), I knew right away that I wanted to make a Personalized CTR Baptism Gift for each of the kids in my class! 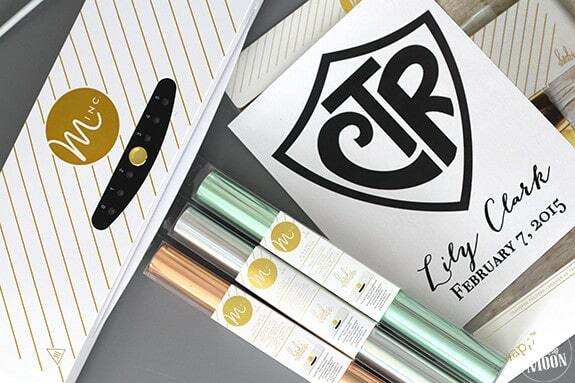 Have you heard of the Minc Foil Applicator from Heidi Swapp? 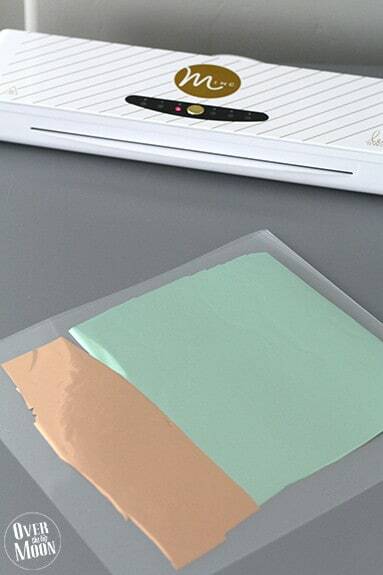 You can basically give any printable/craft a foiled look with this awesome machine! 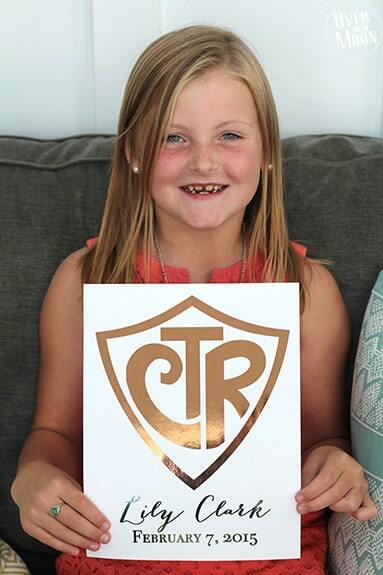 Today I am going to show you how to use it to make this super fun Personalized CTR Baptism Gift! Minc Foil – whatever color you want! 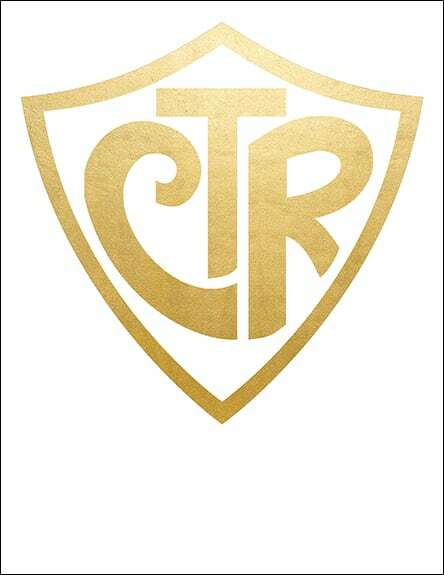 The CTR symbol goes hand in hand with baptism, so I knew I wanted to incorporate the CTR Shield. Then below the CTR Shield I put the kids in my classes name and baptism date. The first thing you’ll need to do is get your printable ready! 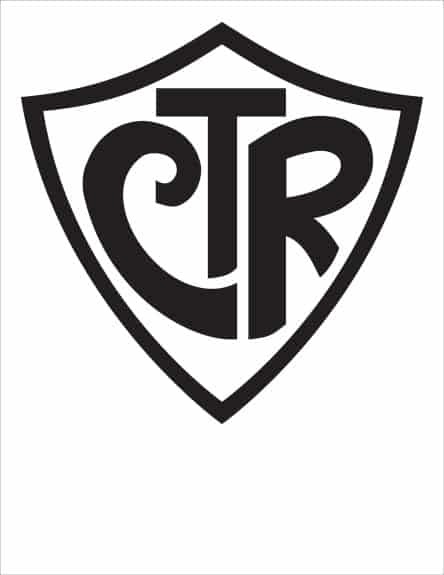 Start by downloading the JPG of the CTR Shield below. Then you’ll need to customize it! Take the JPG and import it into a software that you can customize it in. Examples of software or websites are Photoshop, PicMonkey, Aviary, etc! You’ll just need to customize the text as shown below. The two fonts that I chose are Bombshell Pro and Bodoni! Bodoni is free, but sadly Bombshell Pro isn’t. So, feel free to switch up the fonts you use, to whatever you have on hand!! Once you have the design done, print your design on a LASER printer on a thick cardstock! In order to have the foil adhere to your design, the ink has be printed from a Laser printer, not an InkJet printer. If you don’t have a Laser Printer, then you’ll just need to email the design down to your local Mail Shop or Staples or most any Office Supply stores and they can print it on a Laser printer for a small fee! Then follow the directions for your Minc Machine to foil it! I tried it both on a heat setting of 2 and 3. I like the look of the 3 better! I played around with different colors – I really liked the Rose Gold and Mint color combo! I also have a printable version that you can customize if you don’t have a Minc Machine! 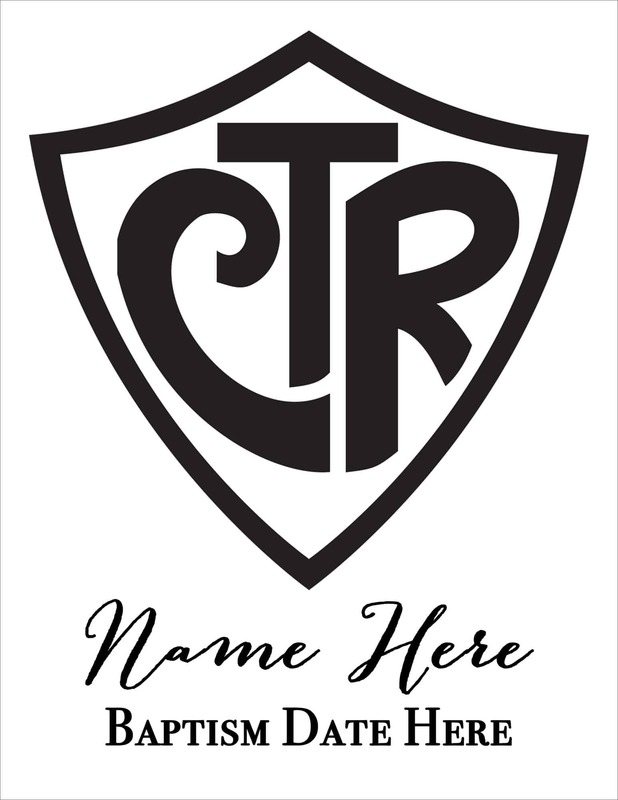 Just download the file below and customize the bottom portion, as I directed above!